When it comes to American film directors, those few who can command a popular festival can be broadly cast into one of two columns. On one side are the Woody Allens—the man himself, obviously, but also his many followers (and, by now, followers of followers): those inward-looking and self-deprecating comedians at once brainy and clueless. On the other side, more elemental and outward-looking, is a man whose still-growing legacy has chronicled a more rough-and-tumble sense of masculinity for several generations: Martin Scorsese. It’s a too-facile distinction, to be sure. While it rings true in broad strokes—Allen’s neurotic Casanovas versus Scorsese’s pugilists and gangsters—when one looks closer, the borders begin to blur considerably. Especially as their careers have lengthened, each man has seemed to nose gently into the other’s territory a bit more, with Woody getting murderous (Match Point) as Martin turned nostalgic (Hugo). For longtime film lovers, it’s been a joy to watch the pair—two sides of one American coin—mature alongside each other. Locals got a chance to follow Allen’s arc last summer, when Amherst Cinema held a three-month festival dedicated to his work. This year, Scorsese gets the same treatment, with eight films screened over the course of the next two months. Film fans and students of the American experience in general should find it an eye-opening body of work. It’s a remarkable film in its own right, but also as seen through the decades of Scorsese’s later work. While films like Goodfellas and The Departed (both of which screen later in the series) expanded on and refined the themes introduced in Mean Streets, this early work shows a director already sure of himself where it counts: in the story. (And for fans of his Rolling Stones documentary Shine A Light, it may be a pleasant surprise to realize that Scorsese was using their music in his films some 40 years ago.) It’s raw and youthful but beyond its years at the same time, just like the performances from Keitel and DeNiro, two young actors who matured alongside their most important director. Both return in other films during the festival, but this is your chance to see where it all began. Also this week: The Life and Times of Hank Greenberg offers a different kind of American immigrant story. Hailing from Detroit, baseball player “Hammerin’” Hank Greenberg became the country’s first Jewish baseball star. 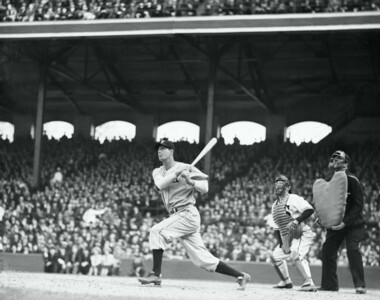 At a time when Hitler was invading Europe, and Jews in America faced bigotry during the Depression and war years, the young ballplayer was swinging for the fences and challenging Babe Ruth’s home run record.